Amazon.com Price: $10.99 (as of 2019-04-22 02:57:45 GMT) Product prices and availability are accurate as of the date/time indicated and are subject to change. Any price and availability information displayed on Amazon.com at the time of purchase will apply to the purchase of this product. Dark times have come to Thedas – monstrous dragons cast ominous shadows from above while chaos erupts all around you. What was once a land of peace and happiness is now ripped apart by conflict as the Mages wage bloody battle against their oppressors, the Templars. Someone must restore order to Thedas and put an end to those who seek to destroy the land. 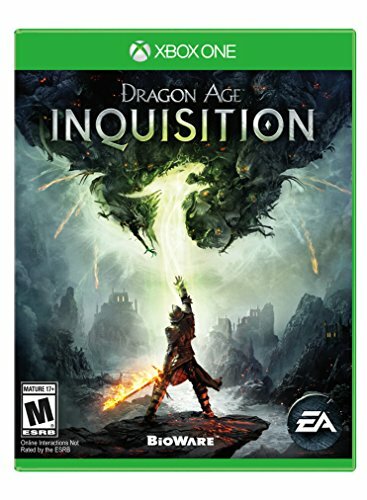 It’s time to lead the Inquisition – a band of legendary heroes and the only hope of Thedas – and wage a war to end this reign of terror.